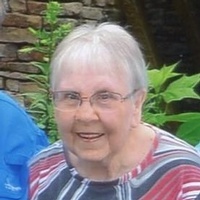 Loga May Feagan, age 83 of Joplin, Missouri, went to her heavenly home on Wednesday, January 10, 2018, surrounded by family. Loga was born March 19, 1934 in Neosho, Missouri to the late Fayette Hutchison and Mary Elizabeth Autt Hutchison. She was a graduate of Joplin High School. Along with her husband, Paul, they owned and operated Glass-Tex, a fiberglass company making tubs and showers in Wyandotte, Oklahoma. Loga was a member of The Church of Jesus Christ Latter-day Saints, of Joplin. On July 23, 1954, Loga married Paul Feagan. He preceded her in death on February 15, 2016. Additionally a son, Kerry Feagan and brothers, J.B. and Don Hutchison, all preceded Loga in passing. Survivors include a daughter, Debi (and Sheryl) Feagan-James, of Joplin; brother, Parker Hutchison and wife, Maxine of Bernice, Oklahoma; several extended family and friends. Funeral services are planned for Saturday, January 13 at 10:30 a.m. at The Church of Jesus Christ Latter-day Saints in Joplin. Family will receive friends that morning from 9:30 a.m. up to service time. Burial will follow at Ozark Memorial Park Cemetery, Joplin. Funeral arrangements are under the direction of Parker Mortuary, Joplin, Missouri.